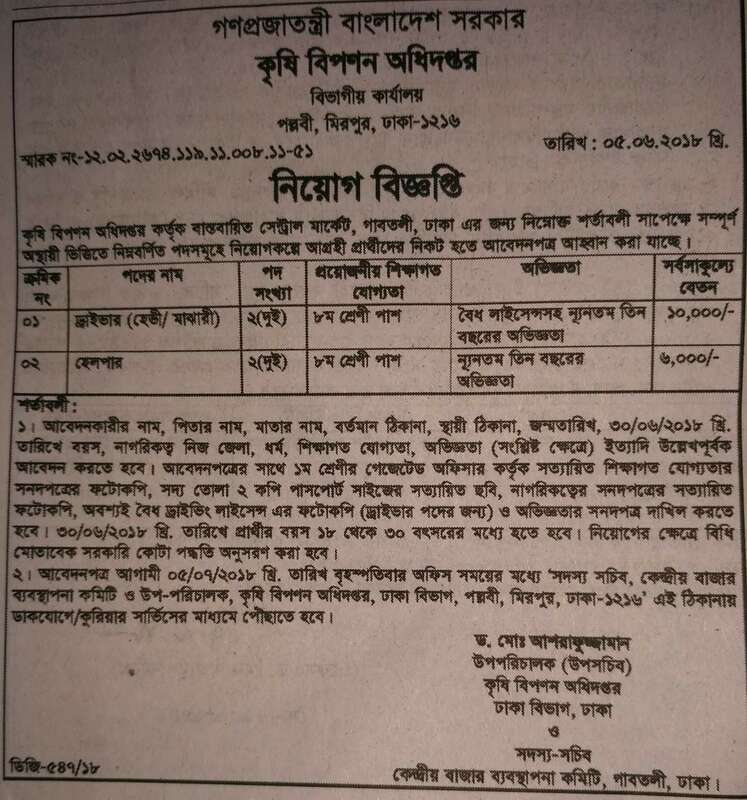 Department of Agricultural Marketing Job Circular 2018 has been published in the daily online job portal and to find at www.bdjobscareers.com. For your information, Marketing plays a pivotal role in all stages of economic development. Marketing starts even before the production decision and sustainability of the production technologies are determined. Therefore, the role of marketing to increase and sustain agricultural production can not be over emphasized. Since its inception, DAM has been working to establish an efficient agricultural marketing system. Good news is, Department of Agricultural Marketing looking for various positions new job holder for their organization empty vacancy. if you are interested, Now, you can see this job details by given BD Jobs Careers then if you think you are right the candidate for this job after that to submit your application by maintain their procedure. This entry was posted in Dhaka Jobs, MBA Jobs, Part Time Jobs, Private Job by Shium Mahmud. Bookmark the permalink.